Today the majority of votes have being published with 81% of votes now accounted for we wait over the weekend (TIL TUESDAY) for the last of postal votes to come in and add to the tally board. Approximately 400 declaration votes and around 300 postal votes could arrive by mail between now and Tuesday 5pm. We will see the final result for the either Kahn Goodluck or Alex Staines being voted into a Councillor position, ONLY 51 votes separate them. 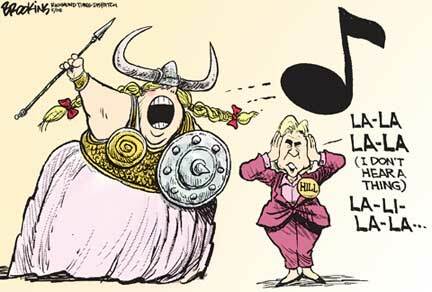 It’s not over til the ‘full figured’ lady sings. While we can see some seats could be 100% announced BUT Gladstone News have decided seeing as ‘Councillors work as a team’, one in all in. When we have a clear winner for the 8th seat we will congratulate and name our 8 new GRC Councillors with a warm welcome at the same time. Not until Tuesday.